Relaxed tailor-made wildlife and culture holidays for small groups of (usually) 6 people. Wildlife, walking, photography and of course Orkney's superb 5,000 year old Neolithic (new stone age) sites always feature in our itineraries. We keep groups small (max 6-7 guests only) on purpose in order to enable you to see more - you will see lots of memorable sights with us, whatever the time of year. We specialise in a blend of wildlife and culture. We listen to you carefully about exactly what you'd like to see and where you would like to go - there are no sites on set days. Visiting islands is included and great fun - it's one reason why we're here! We actually live here (unlike most tour groups who visit) and so we know more about daily life in Orkney. Our holidays are all-inclusive, so that all you have to do is get here, and we do all the rest. We're proud of our approach to the environment: a very small group; an organic lifestyle; Green Tourism Business Scheme gold award for our self-catering; and a generator of renewable energy to help offset your carbon footprint. 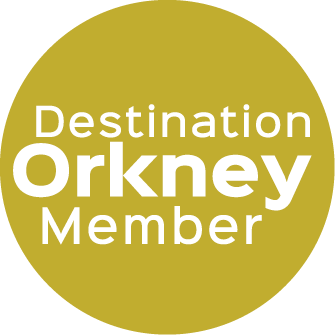 We encourage repeat visits (Orkney gets a grip of you...) and returning guests benefit from large discounts. Last - but most important - we really look after you! See the many testimonials on our website from our guests who have appreciated our relaxed style over the last 13 years.